With Toys “R” Us having permanently closed its doors nationwide, the market for toys is certainly any retailers’ game. However, Walmart is hoping to become shoppers’ go-to location for all things toys, especially as the holiday season approaches -- the first without Toys “R” Us in many years. The world’s largest retailer will be ramping up its toy selection both online and in stores in preparation for the holidays. The toy selection in stores will be increased by 30 percent, while the toy selection online will increase by 40 percent. Consumers can expect hands-on demos of toys in-store, in addition to hundreds of new brands that will soon be available both in stores and online. Moreover, Walmart will soon be partnering with young YouTube star Ryan (“Ryan’s World”) to produce a line of toys that he recommends. It’s not just toys. 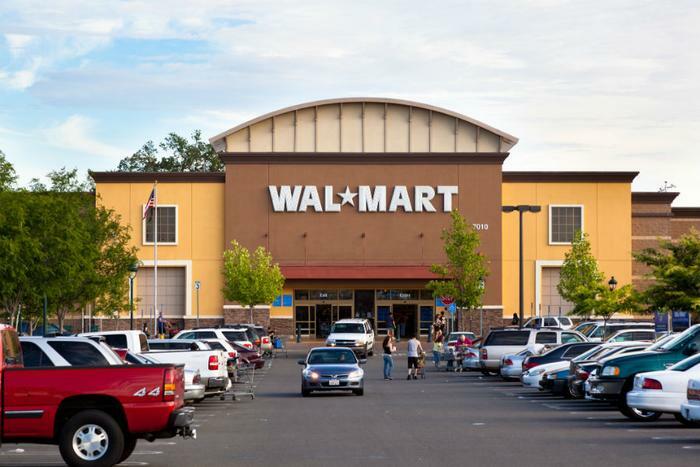 Walmart will soon be expanding its retail options for babies, as the nursery page on its website is undergoing a redesign, and the options for car seats and strollers are being upgraded. “We are making even bigger investments in the category to ensure we have the widest selection,” said Anne Marie Kehoe, Walmart’s vice president of toys. Walmart isn’t the only company looking to up its game in the wake of Toys “R” Us’ demise. Both JCPenney and Kohl’s have announced additions to their baby and toy offerings in recent weeks, while Party City plans to open nearly 50 toy pop up shops. “It is likely that the Toys ‘R’ Us news has kept toys top-of-mind for parents and grandparents when shopping for kids,” said Juli Lennett, a senior vice president and industry advisor for toys at NPD Group. Experts in the field think Walmart has a good shot at capitalizing on Toys “R” Us’ mistakes, as studies have shown that Walmart and Target shoppers have the most overlap with former Toys “R” Us shoppers. Target has taken a similar path as Walmart by increasing its toy options in stores, with the company reporting double-digit sales growth just in toys. “Given the strong affinity between families with young children and our brand, both toys and [baby] are key categories for us,” said Target CEO Brian Cornell. Back in January, Toys “R” Us announced it would be closing 180 of its stores in an effort to reorganize the business under bankruptcy protection. The toy chain filed for bankruptcy in September of 2017, as it needed to restructure $5 billion worth of debt. The pressure came from retailers like Amazon and Walmart, who were more competitive to consumers -- particularly in online offerings. By March, the company announced all of its U.S. stores would be closing. Toys “R” Us was unable to find a buyer or restructure its debt. The company was confident that the 2017 holiday season would help it return to profitability, as it announced the hiring of thousands of seasonal employees. However, sales came in way under expectations, thus prompting the initial closing of stores in January of 2018.